Kidnappings are one of the few profitable businesses here in Venezuela. Many of them perpetrated by police officers who use their inside information to get addresses and access. Members of the Jewish community, who are generally assumed to be wealthy, are popular targets. Some of the remaining Jews here are, in fact, better off financially than the general population, but, wealthy or not, they are a vulnerable minority living in a tumultuous failed state. Juan Guaidó addresses a February 2019 protest in Caracas. The photo show a man in front of a microphone, raising his hand. A crowd of people behind him also have their hands raised. On January 23, during one of the mass protests that followed President Nicolas Maduro’s highly contested reelection, opposition leader Juan Guaidó took to the stage and declared himself interim president in accordance with the Venezuelan constitution and called for the “dictator” Maduro to immediately resign. Venezuela has gone from wealth—it still has more oil reserves than Saudi Arabia—and democracy to humanitarian disaster and dictatorship in just over 20 years. Today, children, lacking access to basic medicine, are dying from curable diseases. The bolivar, Venezuela’s currency, is virtually worthless, and 90 percent of the population lives below the poverty line. The minimum monthly wage sits at just $6 in a country with runaway inflation. Crime is rampant—Caracas is the second most dangerous city in the world—and the combination of almost unfathomable poverty, government corruption, and ultraviolent street gangs has caused many Venezuelans to lose hope not only in their government but in society in general. Life here is lived behind barriers, and the Hebraica center does not even allow my bodyguard—every journalist here must have one—and driver inside. I am shocked by how vast it is, a city inside a city, with schools, a bank, tennis courts, and restaurants. The Jewish community truly lives here: I see men in kippot having coffee and a game of backgammon as kindergarteners play wildly on the monkey bars. 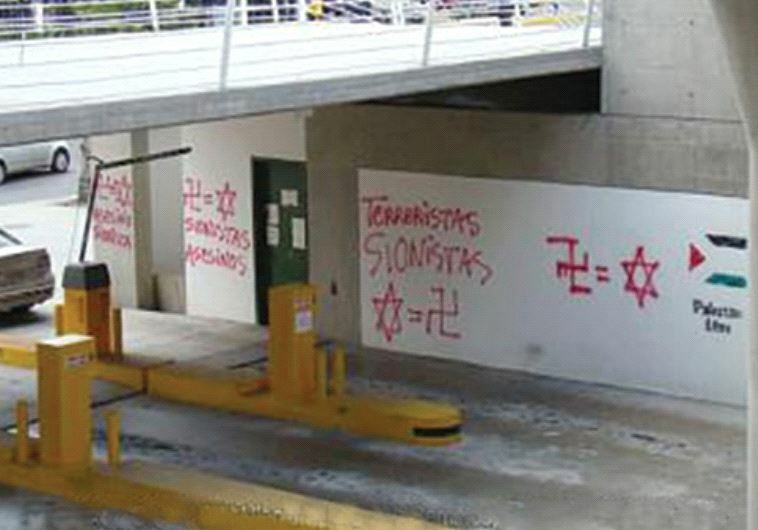 I had contacted the Chabad representatives in Caracas before coming. Rebbetzin Goldie, who works in the Chabad preschool inside Hebraica, called me before I had left Sweden and urged me to reconsider my plans. “I will pray every day that you find the wisdom not to come, but if you choose to go I will help you in whatever way I can,” she told me, and she did, arranging for me to have food for Shabbat and putting me in contact with the Jewish community’s leadership. The care comes delivered: At the hotel my first Friday in Caracas, there’s a bag waiting for me, and before it’s in my hands I can smell its familiar contents—the Chabad rabbi sent someone over with candles, kiddush wine, and three newly baked challot. Without even thinking, I laugh out loud at the sight of this bag full of comfort in one of the world’s most dangerous places. That seems to be the sentiment of many of the Jews I meet here—that someone has to stay and keep the lights on until it is safe for the others to come back. None of the people in this synagogue are particularly well off, though most are considered middle class by Venezuelan standards. As the present crisis has worsened and sanctions have hit, they are all starting to suffer. Morris’s business is dependent on parts from abroad that he can no longer import. Magda was retired but her pension, paid in now useless bolivars, is not enough to cover even basic necessities. 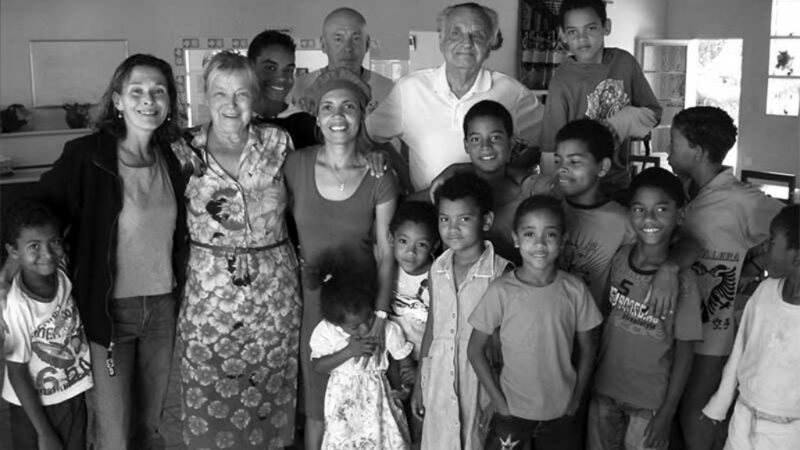 The children help out, usually by sending dollars—the only currency worth anything here—and her husband has gone back to work as an accountant at the age of 77. They are waiting for things to turn around, and, in in the meantime, they’re doing their best to hold the fort. As the situation in the country escalated, I decided that my planned stay of two weeks wouldn’t be enough time to see this story through. Having come here on an assignment that had dried up, I started frantically looking for options, new work, any way to stay a few more days. In a last-ditch effort, I turned to Twitter, asking anyone looking for a freelance journalist to contact me through private message. Not even 10 minutes after my tweet, there was a short message in Hebrew in my inbox: “Please send me your phone number. There are some people who want to help you.” Given the security situation, I probably should have hesitated, but I didn’t. It might have been the Hebrew or the simplicity of the sentence, but I sent a stranger my phone number. Almost immediately thereafter, my phone rang. “Hola, my name is Eli, and I heard you might need some help.” Eli Levin is part of a large Jewish family that has lived in Caracas for more than 80 years. His father emigrated from Tehran by way of Jerusalem, and today the family runs a highly successful business that operates around the country. He offers to help out for as long as I decide to stay in Venezuela. As soon as we hang up, my phone rings again, and again, with other Jews who want to come to my aid, expats as well as Venezuelans who have remained. After an hour on the phone, I have six new contacts and an invitation to the Levins for Shabbat. 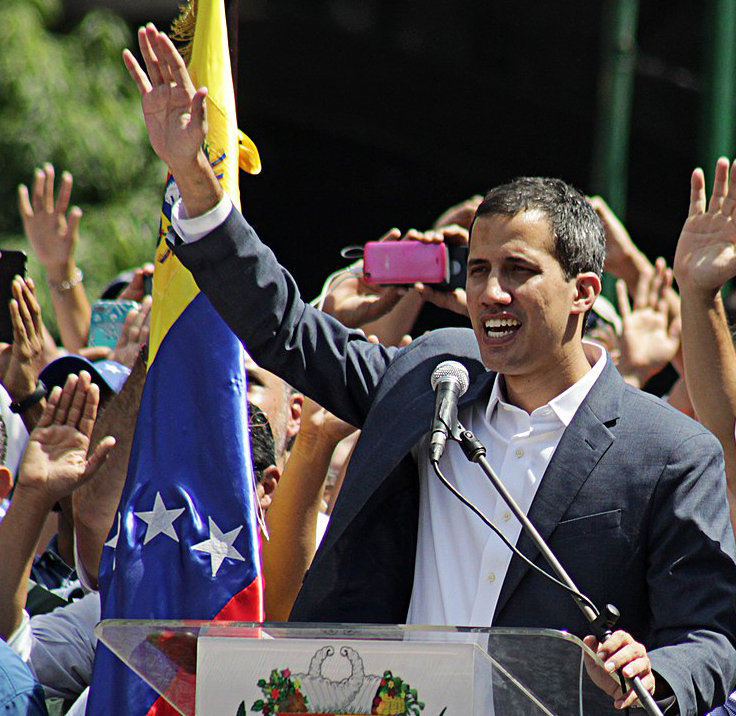 The Levins have high hopes for Guaidó. They believe his presidency would help all Venezuelans out of the misery into which they have been dragged. They also think he would defrost relations with Israel after Maduro is gone—if he gets a chance. Under Chavez and now Maduro, the Levins have had to walk a very perilous line in order to stay in business. Chavez expropriated land from them more than once “for the good of the people.” In the absence of any alternative, they have worked to maintain their relationships with a capricious, tyrannical government. When I walk into their house for Shabbat dinner a few days later, I feel somewhat out of place. By the third week of this tumultuous trip, my clothes have seen better days. Stepping into their elegant home, I am acutely aware of the state of my one suitable dress and the mismatched red backpack slung across my shoulder. In truth, it isn’t easy to square the misery I have encountered in Venezuela with the opulence and beauty of their home. Nestled beneath the gorgeous Avila mountain, the vast Bauhaus structure is lit from the side, casting shadows across a private park that fills up with Levin family members on Friday night. Their dinner discussion is dominated by politics and everyone there wants to offer their opinion on what is about to happen and ask me mine. We debate the threat of civil war while digging into some of the best food I’ve ever tasted. The experience is absurd and wonderful, but I seem to be the only one registering the bizarre juxtaposition. The Levins are used to inhabiting many different worlds. In the midst of dinner conversation, the matriarch of the family suddenly yells out “Maduuuuurooooo!”The family erupts into laughter, before responding to the now-viral “Maduro challenge”—a call out of the dictator’s name eliciting the defiantly vulgar and somewhat untranslatable response “Coño e’ tu madre!” It is a defiant act of free speech in a country where silence has been the rule of law for over two decades. It’s a strange thing, waiting for a revolution. There seems to be a lull in the midst of the chaos, and then . . . well, we don’t know yet. I am now used to hearing gunshots outside my hotel—and to wearing a bulletproof vest when I leave it. Lately rumors have been bouncing around Twitter that I am an Israeli spy. An Algerian journalist confronts me in the hotel: “You can tell me. I will understand, but you have to tell me!” Given that Venezuela has marinated in anti-Semitism and conspiracy theories for the last 20 years, and the way President Maduro has been warning of a Western imperialist coup, this is not a joke. I call my friend the security man at Hebraica and he gives me more good, discreet advice. Meanwhile, Venezuela’s Independence Day coincides with the first Passover Seder this year. As all Venezuelans wonder what this Independence Day will bring, some of them will also be thinking about whether there will be enough matza and kosher wine, and under what circumstances they will celebrate the festival of freedom. Annika Hernroth-Rothstein is a Swedish journalist. Her book Chosen: Stories from the Jewish Diaspora will be published by Post Hill Press in 2020. We have never met this Mendele before, but he expects us to trust him, appreciate his wit, catch his references, and share his attitudes. In a few deft lines, the author created a figure so democratic you don’t have to look up to him, so familiar you don’t have to fear him, and so appealing you won’t realize you’re being flogged. Eliezer Ben-Yehuda, “the father of modern Hebrew,” famously raised his own son to be the first child in almost 2,000 years to speak only Hebrew. When Itamar Ben-Avi grew up, he was fascinated by . . . Esperanto. Esther Schor’s new book on L. L. Zamenhof, his would-be universal language, and those who still speak it inspired Stuart Schoffman to revisit the oddly parallel careers of Ben-Yehuda and Zamenhof. In The New York Times, Seyla Benhabib took issue with Richard Wolin’s critique of Hannah Arendt. Wolin responds. In his latest book John J. Clayton delves once again into the literary territory he has been patiently mapping for some time.